JOB DESCRIPTION: Brandi Costa oversees and leads all the Call Center’s operations. The Call Center oversees the day to day operations of Customer Service, scheduling and routing technicians to jobs, and handles over 40,000 calls annually. Brandi’s primary goal is to maintain 100% customer satisfaction for each customer by providing the staff with problem solving resources, educating them on our products and services and empowering them to effect change. INDUSTRY EXPERIENCE: Brandi began working at Benson’s in 2001 as the Accounts Receivable Clerk. 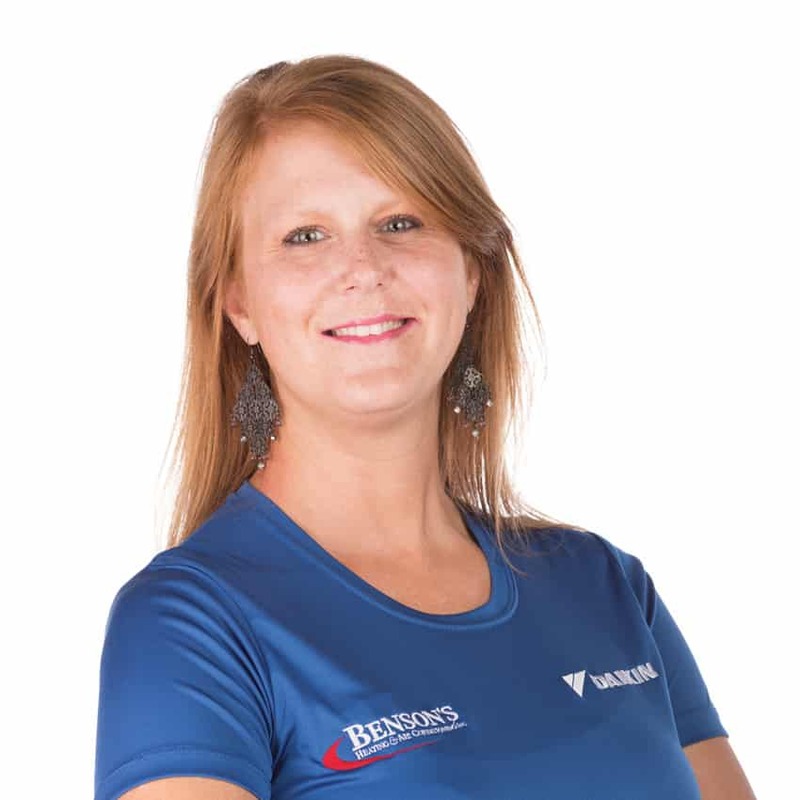 Since then, she has worked in just about every department in the company, learning how each department operates to better her knowledge in all the products and services Benson’s Heating & Air offers. In 2004, she was promoted to Customer Service Manager and currently holds that position.